The AR phone is available now both in-store and online. Back at CES, we were impressed with Asus' new smartphone, the ZenFone AR, but it wasn't clear exactly how much it would be. Now, the Verizon-exclusive smartphone is available now and it costs $648, or if you want to go the installment route, qualified buyers can pay in installments of $27 per month. The product page says the phone is only available online, but Verizon confirmed to Engadget that it's available in retail stores as well. 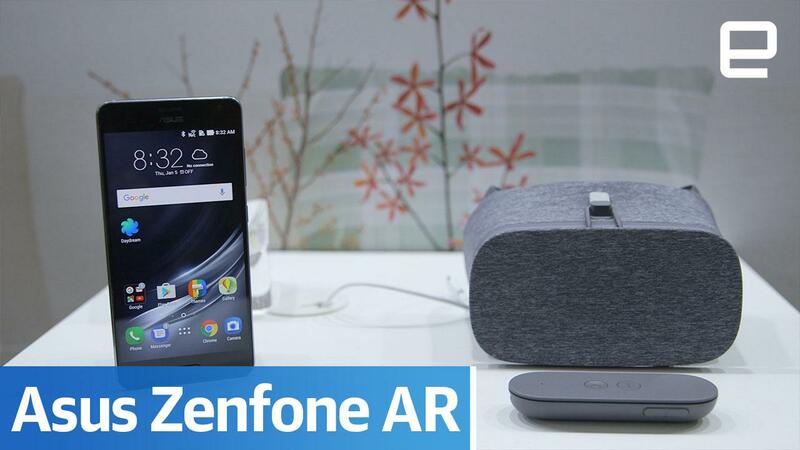 The ZenFone AR is the first phone to support both Tango, which is Google's 3D mapping tech to support AR, and Daydream VR. This combination will provide a mix of both AR and VR; while we didn't get to try it out at CES, it's very intriguing. There's a lot of tech packed into this slim and lightweight package. Other specs include either 64 or 128GB of storage, Qualcomm's Snapdragon 821 processor, three camera sensors, a 5.7-inch AMOLED display and a 3,300 mAh battery. Apple's been very interested in AR lately, as the recent launch of ARKit makes clear. They want to allow developers easy access to tools that add digital objects to the real world (think Pokemon Go). ARKit will supposedly be the largest AR platform in the world, as it will be available on all iPads and iPhones in iOS 11. It's likely no coincidence, then, that the ZenFone AR, which supports competitor Google Tango, is launching right now. The Verge reports that the ZenFone AR will also be available in the US unlocked for $599. We've reached out to Asus for confirmation and will update this post if we hear back. Update: The post originally states the phone was up for pre-order at Verizon. The carrier confirmed the ZenFone AR is now available both in-store and online with the pricing options listed above. This post has been updated to reflect that clarification. Update 2: Asus has confirmed that the unlocked version is also available at online retailers (currently its page points to Amazon) in two configurations. The 64GB storage / 6GB RAM version for $599 and 128GB storage / 8GB RAM edition for $699.